“Never was there a more complete triumph – never a more thorough and speedy recognition of a great work of art.” This was the response of the critic in the London Times to the wildly successful premiere of Felix Mendelssohn’s Elijah in 1846. 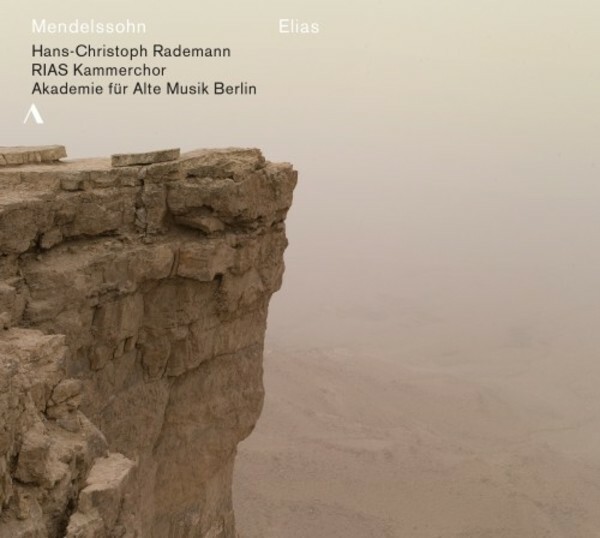 Hans‐Christoph Rademann began his tenure as Principal Conductor of the RIAS Chamber Choir with this groundbreaking oratorio. After eight productive and successful years, his final concert in July 2015 also featured the work. It was a “Farewell Performance with Furor” (Der Tagesspiegel), not least because of the impressive performers involved: the RIAS Chamber Choir, the Akademie für Alte Musik Berlin, and the soloists Marlis Petersen, Lioba Braun, Maximilian Schmitt, and Thomas Oliemans.